Moving to the cloud can have tremendous benefits for businesses of all sizes. Before making the leap, it is important to determine what the best type of cloud is for your business. What are the advantages and disadvantages of public clouds vs. private clouds? Is a hybrid infrastructure that combines traditional IT, private cloud and public cloud the best option for your organization? In a public cloud setting, a service provider is responsible for making applications, data, and storage accessible to their clients from a shared infrastructure. Services are provided off-site via the internet. One key benefit of a public cloud is that the service provider has already made the investment in building out the required infrastructure and they are responsible for maintaining and upgrading that infrastructure. As a customer, you have the advantage of only paying for the resources you need, when you need them, with minimal upfront costs for equipment or IT labor. The technical benefits of public cloud infrastructure include scalability, automated deployments which significantly reduce the time to it takes to roll out new applications, and greater reliability. There can be concerns about the security of the public cloud for sensitive data. Organizations rarely deploy 100% of their applications in the public cloud. A private cloud is one where services and infrastructure are maintained on a private network that is hosted on site or in a data center. A private cloud can provide a greater level of security, flexibility and control. 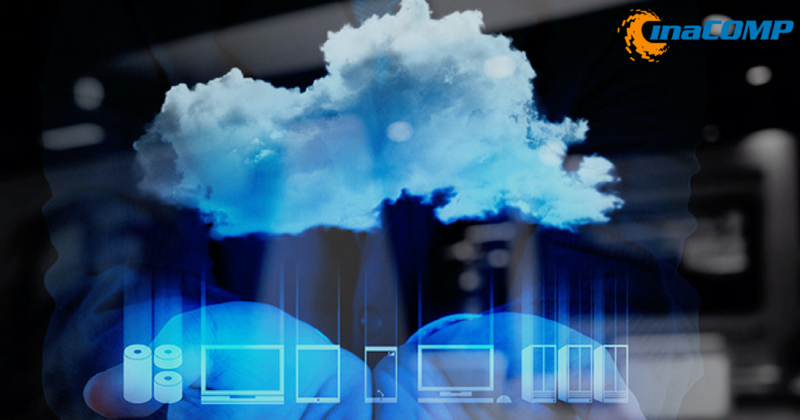 Private cloud environments can be designed to support any application, and can be the only option for some legacy applications that will not operate well in the public cloud. With a private cloud, the organization gains the benefits of cloud architecture without giving up the control of maintaining their own data center. The downside of a private cloud can be the high upfront costs involved in building the infrastructure and the ongoing expense of maintaining and upgrading the environment. Public cloud offerings are not always the most cost-effective after all. According to a recent study conducted by VMware and 451 Research, 41% of IT decision makers surveyed stated that their private clouds were operating at a lower unit cost per VM than the public cloud. According to 451 Research, cost-efficiency in a hybrid environment relied heavily on tools for capacity planning, cost management, automation and software licensing. A further 24% stated that they were paying just about 10% premium for their private cloud (over the cost of a like-for-like public cloud). There are numerous advantages to a cloud-based infrastructure. However, there are some applications that have little cost benefit in migrating to the cloud. This is particularly true where a significant investment in on premise infrastructure has already been made. Many organizations are adopting a hybrid approach where the business benefits from combining both public and private clouds with traditional IT infrastructure. By identifying workloads that work best in each environment, an organization can achieve the ideal balance of cost optimization, security, performance and business agility. Hybrid IT combines the right mix of traditional IT, private cloud and public cloud to meet business and IT goals, integrating new technologies where needed and maintaining legacy systems where appropriate. At InaCOMP, we deliver a clear roadmap for transforming to a hybrid infrastructure. In this way, our clients avoid disruption to the business while at the same time solving key business challenges. By integrating new technologies our clients can prepare their organizations for future success.